M48 Bugout Mystery Bag XL | BUDK.com - Knives & Swords At The Lowest Prices! 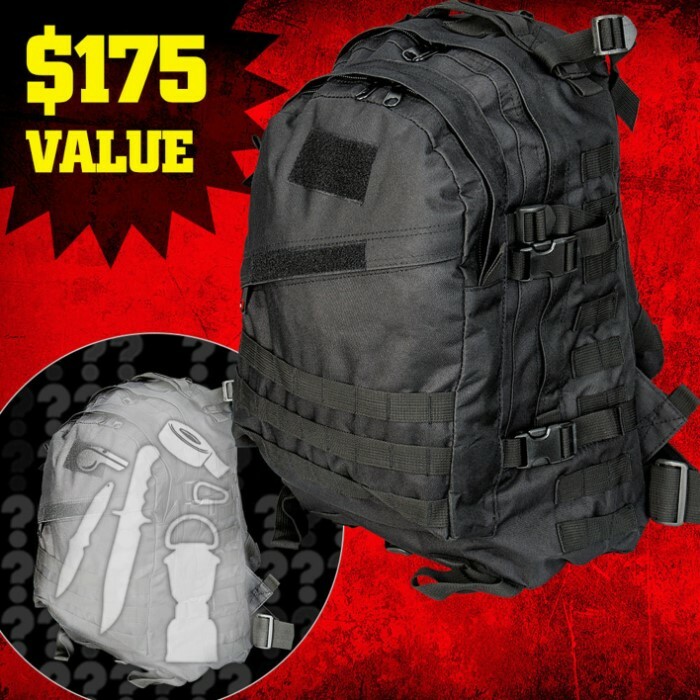 We've got another great savings opportunity for you with this M48 Bugout Mystery Bag! For less than $90, you'll receive a combination of bugout must-haves in this awesome M48 tactical bag. These products are brand-new, never-opened and the value of this bag, plus the assortment of survival gear is valued at more than $175! It'll be just like opening a present when your mystery bag arrives! Don't get me wrong I'm not at all disappointed. But the gear in the bag was ok, not great. I think the best part was the bag. Yes I would order it again, just to see what you get. This was purchased for a friend. He was very pleased with all the goodies inside. The only minor complaint he had was that he wished it had had a "Life Straw" in it as well. I think this may be the best deal on the site. I thoroughly enjoyed it out of all the things I got only 1 or two things I wouldn't have a use for but overall well worth it. This has been one of the best mystery buys I have purchased from CH or Budk! 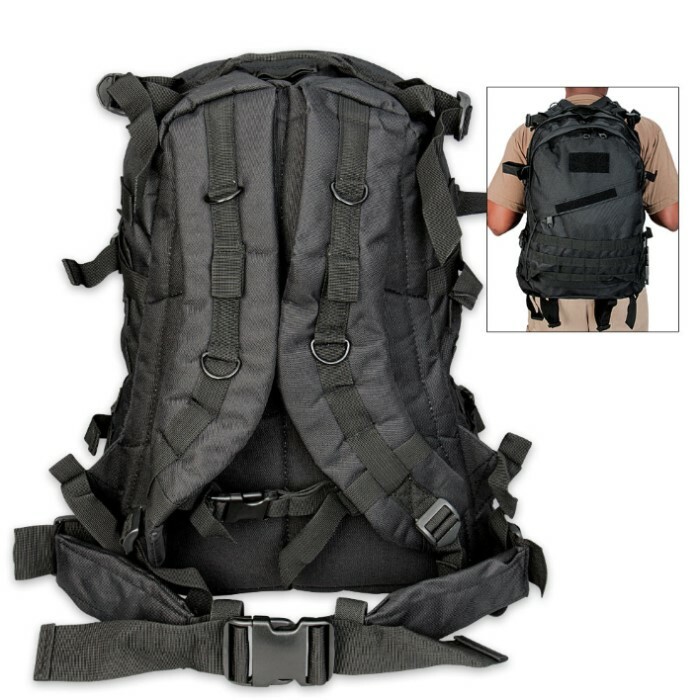 I have a couple smaller bug out bags which were good but this one is great. I wanted a mid-sized backpack and this one was the right size . There were a few repeats but over all a great buy. The total worth of the items with a couple on sale was $122.85 not including the backpack which is nicely made. I added up the price of all of the items in the bag and it totalled to around $120 worth! That's not even including the price of the bag itself! With the bag you get around a whooping $160 worth of items! It is so worth it and I highly recommend you get one too. The bag has 3 compartments, the first is good for small knives and items, the second is good for medium sized items or large knives. The biggest pocket can fit nearly any items that you want, though generally only one larger item and around 4 thin or medium sized items in the pocket within. It has front straps for extra security along with rings on the general backpack straps, this way you can hook any small items to it. The general straps also buckle together. Very good quality! Got this for Christmas, and I am beyond pleased with the pack and certainly the contents. The items inside the pack alone are certainly worth the price. Plenty of room in the pack and, again, I can't say enough about the gear packed inside: great quality and an impressive variety. 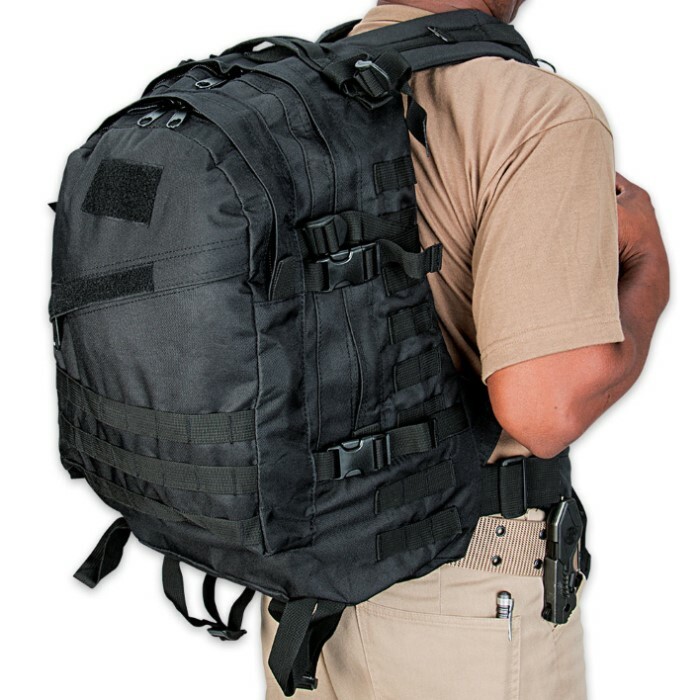 It's truly a backpack that prepares you for quick survival. Definitely worth the price. Back pack is a good quality, lots of room for gear. The gear inside, which is a lot is really nice. My car was broken into and my hit the trail pack was taken. This replaced it and so much more! Thanks Bud K!